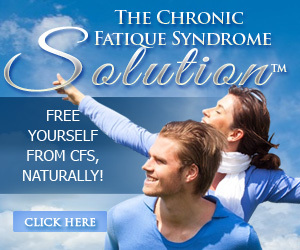 Chronic fatigue syndrome (CFS) is a condition of unknown etiology that is diagnosed based on patient report of an array of clinical symptoms, generally in the absence of an organic or inciting etiology. Key diagnostic features are severe fatigue of more than 6 months duration and a subset of other symptoms that can include impairments of memory or the ability to concentrate, tender lymph nodes, myalgia, arthralgia, headache, cognitive disturbances, low-grade fever, disturbed sleep, sore throat, and postexertional fatigue (Afari and Buchwald 2003; Fukuda, Straus, Hickie, Sharpe, Dobbins, and Komaroff 1994). Most patients with CFS have significant functional impairment (Buchwald, Pearlman, Umali, Schmaling, and Katon 1996) and at least one sleep disorder (Buchwald, Pascualy, Bombardier, and Kith 1994; Morriss, Sharpe, Sharpley, Cowen, Hawton, and Morris 1993). Because many of the symptoms of CFS are also symptoms of acute viral infections, numerous studies have explored the possibility that viral infections precipitate CFS. Some data support a role for viral infections in causing CFS (Davis et al. 1994; Martin 1996; Sairenji, Yamanishi, Tachibana, Bertoni, and Kurata 1995; White et al. 1998; White, Thomas, Sullivan, and Buchwald 2004), although others do not (Buchwald et al. 1996; Swanink, van der Meer, Vercoulen, Bleijenberg, Fennis, and Galama 1995). One virus that has been studied extensively in this regard is EBV. The initial lytic infection produced by EBV resolves within days and is followed by the establishment of a latent state that is maintained under the control of the host immune system. Infection with or reactivation of EBV in humans is often associated with fatigue and excessive sleepiness (Ablashi 1994; Ebell 2004; Guilleminault and Mondini 1986; Josephs et al. 1991; Petersen, Thomas, Hamilton, and White 2006; Tobi and Strauss1988; White et al. 1998). Such symptoms could be related to immune stimulation or dysfunction, neural-endocrine homeostatic imbalance, or both, as produced secondary to the acute and chronic viral infection (Cleare 2003; Papanicolaou et al. 2004). Studies demonstrating that antibodies to EBV enzymes may be elevated in CFS patients support the hypothesis that EBV is involved in the pathogenesis of CFS (Glaser and Kiecolt-Glaser 1998; Jones, Williams, and Schooley 1988; Natelson et al. 1994). Synthesis of these viral enzymes may reflect stress-related reactivation of latent virus (Glaser et al. 2005). Although host responses to reactivation may abort complete viral replication, the viral enzymes themselves and the host responses they elicit may cause symptoms similar to those of both acute viral challenge and CFS (Glaser et al. 2005).